Every successful business will need to hire new team members. It’s as much of a law as gravity or not swiping around when someone shows you a picture on their phone. And best of all? There’s hardly any guesswork involved. If overflowing work doesn’t tell you, one of your stressed out employees happily will. Apologies in advance if they happen to shout it though. What does require a lot of effort, however, is determining whether you can afford a new employee. Busyness doesn’t always equate to financial success. Those who barely make ends meet each month may not be in a spot to add another end. However, additional help lends to the prospect of more business, opening up new revenue streams. Even those lucky enough to have frequent windfalls are left with much to consider. Hiring a new employee is not a short term commitment. Businesses of any size must analyze whether they can guarantee a fully supported team for years into the future before making new additions. 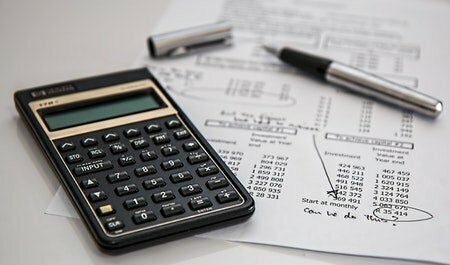 If you find yourself struggling to stay above the workload, but aren’t sure your pockets are deep enough for new employees, consider these cost and budgetary needs. Recruitment: Whether you’re outsourcing or having HR cover the hiring process, someone must be paid for posting jobs, reviewing resumes and interviewing candidates. Wage: You weren’t planning on paying with experience were you? Good talent needs financial support, so having a firm salary or hourly rate in mind is critical. Benefits: Medical, dental, optical, paid time off, gym memberships, free coffee, no matter what it is, employees want their employers to contribute to their well being. Review your options and see what’s the most reasonable for the size of your business. Training: Much like recruitment, even if it’s outsourced or handled by learning materials, someone will have to give a new employee the tools and education to learn their tasks. It’s important to note here that recruitment can often be the most expensive part of the hiring process. Finding the right employee may take weeks, even months, of financial resources to accomplish. Future sales: While you can hardly guarantee anything, businesses who have been around long enough will have a pretty good idea of whether they’ll have a stable source of revenue in the future. Projected benefit of a new hire: You want a new employee to as beneficial to you as their new job is to them. Know early on whether taking on a new member could mean taking on debt once their pay, benefits and more are calculated. Hiring a new employee can be one of the most expensive tasks a business can take on, but they can also be the most rewarding. Fresh talent means new possibilities for an already endless number of ways to grow. Ready to take on a new employee or discover a way to make recruitment cost a fraction of what internal or typical outsourced efforts could accomplish? Visit Monikl today to get started.